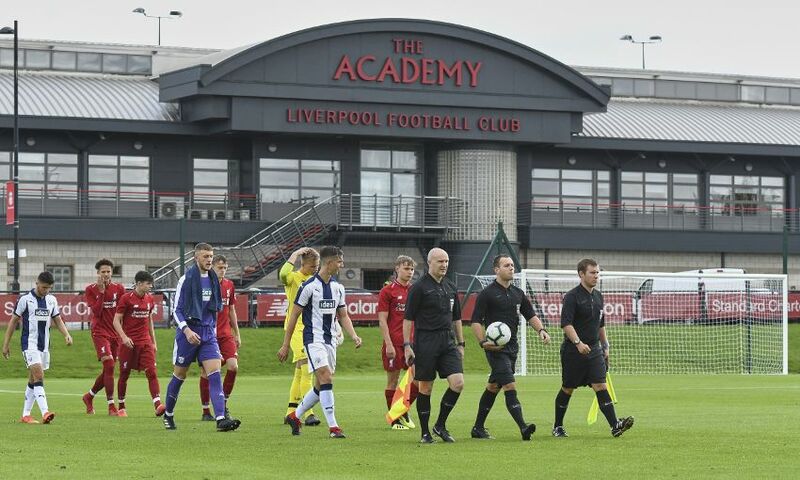 Liverpool U18s recovered from an early setback to beat West Bromwich Albion 5-1 at the Academy on Saturday. 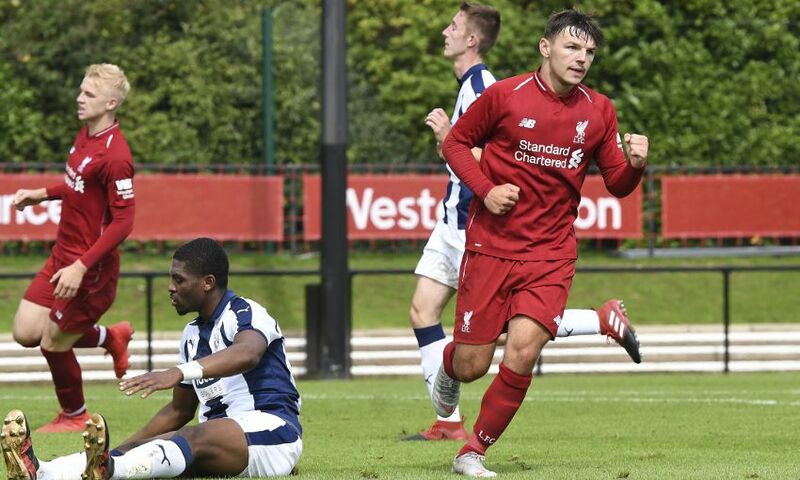 The young Reds trailed to a Morgan Rogers strike in the 10th minute but Paul Glatzel’s quickfire double turned the score around almost immediately and Bobby Duncan added a third in the final seconds of the first half. The strike duo netted once apiece after the interval, too, as Barry Lewtas’ team eased to an emphatic and impressive result in Kirkby. An even start to proceedings was interrupted when the visitors struck first. Eoin Ashton slid a pass into Rogers inside the left channel and the Baggies No.9 ducked in and out of the recovering defenders before sweeping a finish across Vitezslav Jaros into the bottom right corner. To say the concession provoked a reaction from Liverpool would be an understatement. They were level within five minutes courtesy of Glatzel’s fourth goal of the season. 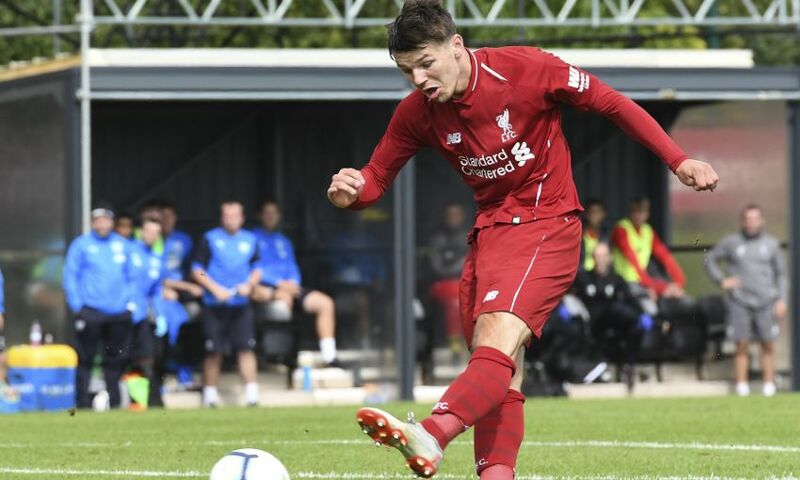 The 17-year-old was indebted to strike partner Duncan, whose attempt to turn at the edge of the area became a fierce tackle, skewing the ball out for Glatzel to clinically curl a left-footer into the far corner. And the same man was on target three minutes later. Yasser Larouci carried the ball along the left flank and fed it into Glatzel 20 yards from goal – and the subsequent shot took a hefty deflection to deceive the goalkeeper and sail into the net. 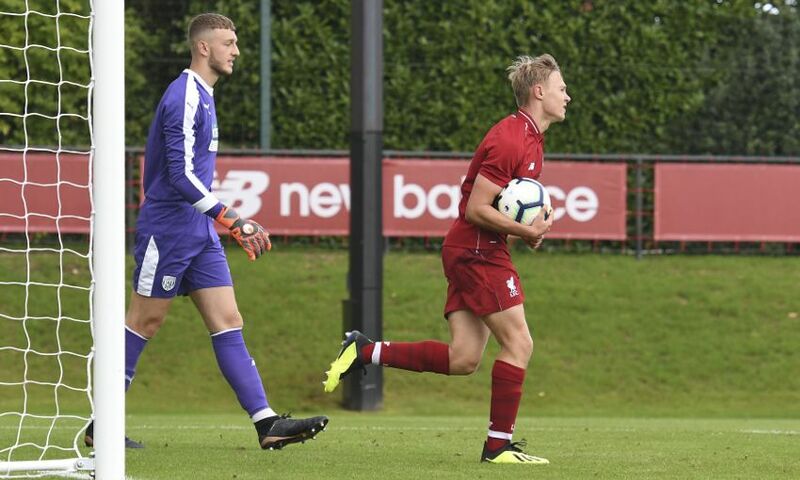 Duncan then had a driven effort diverted against the right post after cutting into dangerous territory from the right, and Rhys Williams’ header in from Jake Cain’s inviting cross was ruled out for an apparent offside. Liverpool did extend their lead before the break, however, courtesy of another unerring finish. 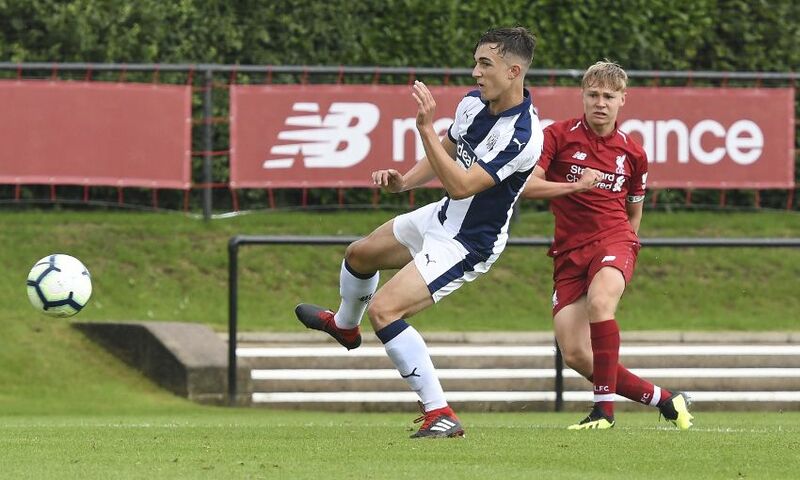 West Brom were caught in possession in their own half and the ball rolled through for Duncan, who dispatched a low hit beyond Adam Przybek for his first goal at the Academy since joining the club. And there was no let-up when the action continued in the second period. Only two minutes had elapsed when Glatzel completed his hat-trick, collecting a perfect threaded pass forward from Cain, getting the ball out from under his feet and prodding an angled shot past Przybek. With 53 on the clock, they were awarded a penalty. 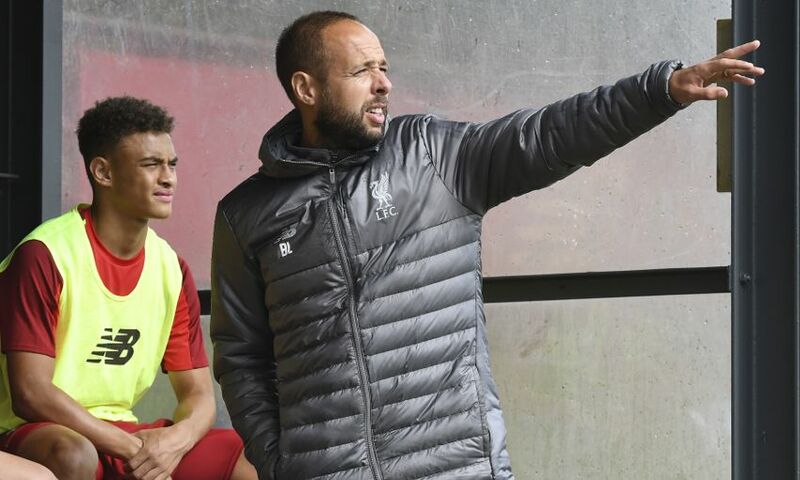 The referee judged Abdi Sharif was fouled inside the box from a corner and Duncan took charge from 12 yards, rolling a cool spot-kick to his left as the ‘keeper dived the wrong way. 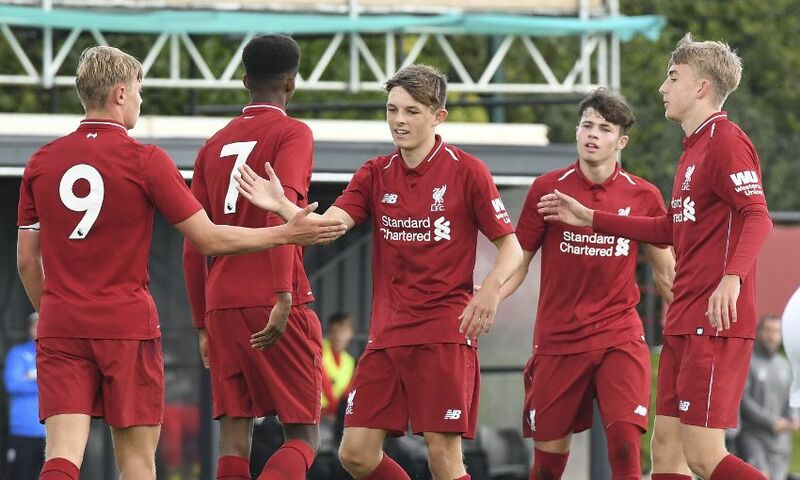 Neco Williams had to clear an Ashton strike off the line midway through the half but Liverpool were largely untroubled in the remainder and secured a second win of the U18 Premier League season. 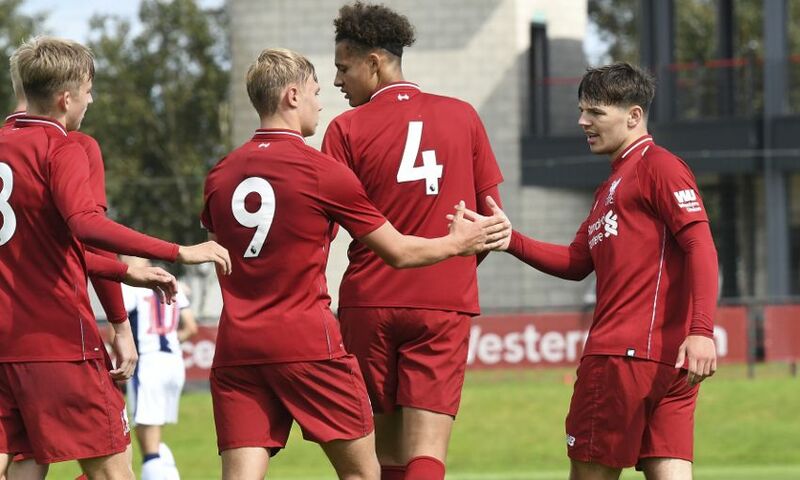 Liverpool U18s: Jaros, N. Williams, Larouci, R. Williams, Clayton, Clarkson, Sharif (Brookwell, 71), Cain (Dixon-Bonner, 61), Glatzel (O’Rourke, 67), Duncan, Longstaff. Unused substitutes: B. Williams, Savage.